It’s been two years since I visited my motherland, South Africa, and WOW did I forget how difficult a parkrun is on this side of the world. 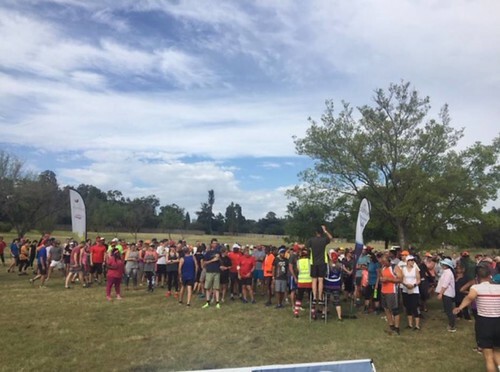 The parkrun I did is called Ebotse parkrun and is situated on the east side of Johannesburg and is a beast from the east. There has recently been some seriously hot weather in South Africa and this morning was no different. 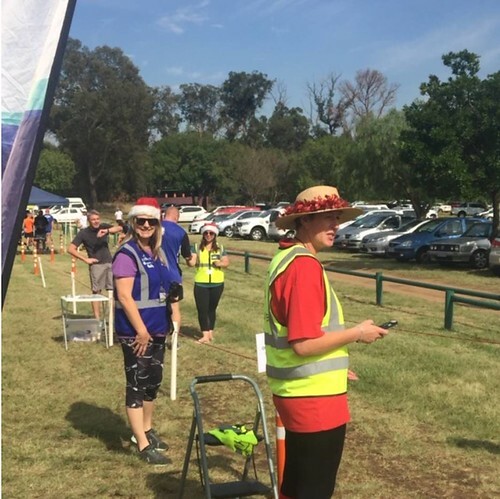 parkrun starts an hour earlier in South Africa and just as well as it was a soaring 31 degrees at 8am. There were 467 runners that participated in the event. I managed to come second which was a very distant second as the winner managed to do 16:31 which was almost two minutes faster than me. He came past me at such a speed, it made me look like I was looking for parking. 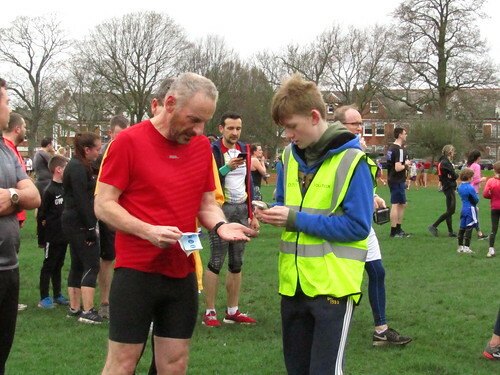 To give an idea of how tough this parkrun is, I did Dulwich parkrun three weeks prior in 16:30. My time for this parkrun was 18:22 with a very similar effort level. It must have been the heat, running on uneven grass and dodging the Springboks. Bester was clearly not at his best this week. The vibe was very festive with all the marshals wearing Christmas hats. The main reason why we do Ebotse parkrun is for the killer breakfast we get afterwards and it was definitely worth it. It was actually my bachelors later that day so decided to have a shot and cocktail with my breakfast to get into the swing of things. 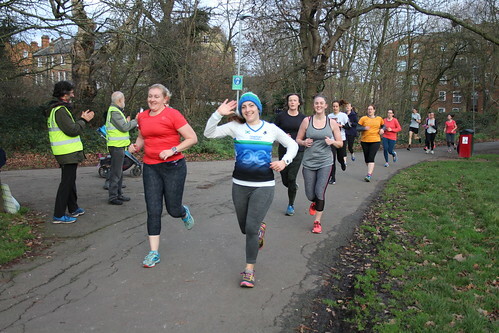 This week 414 people ran, jogged and walked the course, of whom 49 were first timers and 18 were running their first ever parkrun. 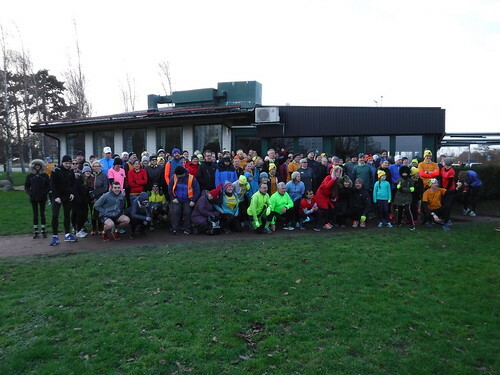 64 recorded new Personal Bests and representatives of 30 different clubs took part. Matthew CARTWRIGHT (SM25-29) of Herne Hill Harriers was first over the line in 17:53. Matthew DUCKETT (SM25-29) was second over the line in a new PB of 18:14. Tomas O’HANLON (SM25-29) was third over the line in 18:48. Sophie JOHNSON (SW20-24) of Guildford and Godalming AC was first over the line in 20:52. Ruth Jean CHALMERS (SW30-34) of Herne Hill Harriers was second over the line in 20:53. 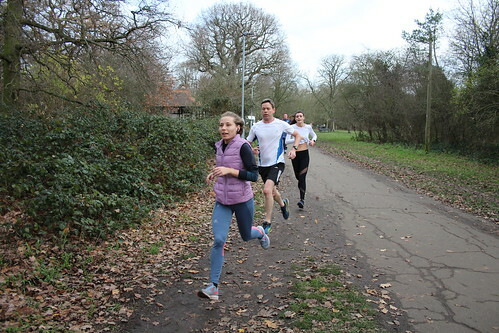 Claire PARKER (SW30-34) was third over the line in 20:57 in her first ever appearance at Tooting Common parkrun. Milestone shout outs are due to Scarlett WATTS and Lisa PICKERING, who both ran their 100th parkruns with us today, and Paul CANE, Stephen WORTLEY, Rupert NAYLOR, Sophie JOHNSON and Piers MASON who all ran their 50th parkruns. Piers also marked the occasion with a new PB. 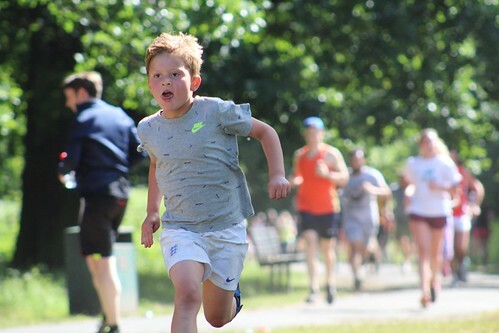 Finally, George GOWLAND, Sam MYCROFT and Jarvis HINES ran their 10th parkruns as juniors. - Our junior stars of the week were Julian SAKROUGE, Alex GUEST, Lydia MYCROFT and Caitlin CHILTON, who recorded new PBs of 23:38, 24:57, 36:40 and 24:03 respectively. - April MARRETTA LORD made it a volunteer and PB double, helping set up the finish funnel and recording a new best of 27:41. 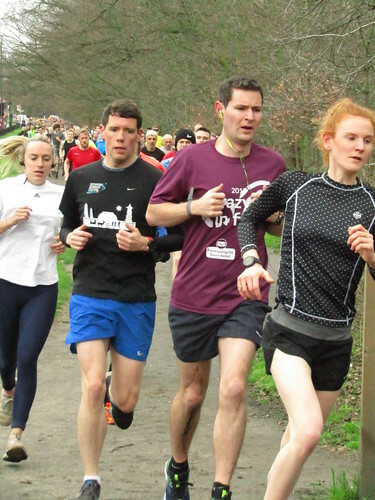 - Rachel VICKERS recorded her best ever parkrun time with 22:58. - Matthew EASTALL, Harriet NORTH and Jane TINGLE smashed the 20, 25 and 30 minute barriers with times of 19:50, 24:58 and 29:58 respectively. - Lucinda HIGGIE ran with us for the second time and improved on the time she set a fortnight ago by an astonishing 5 minutes and 8 seconds to cross the line in 36:19! Well done, Lucinda! 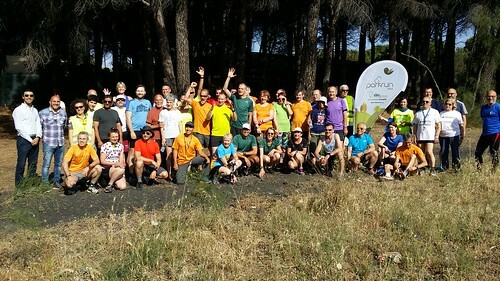 Earlier this month my wife and I went on the first ever organised parkrun holiday to Sicily, put together by official parkrun partners and Balham-based adventure holiday company Exodus Travels. 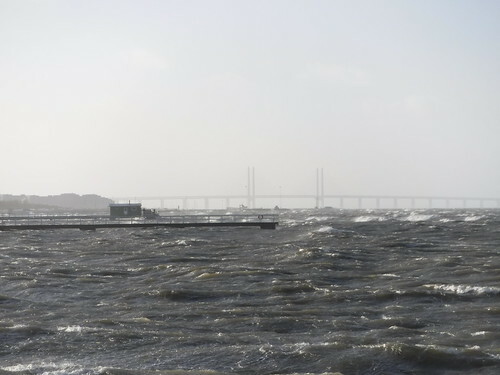 The holiday was from 1 to 10 June and took in two parkruns, with exploration of the island filling the week inbetween. 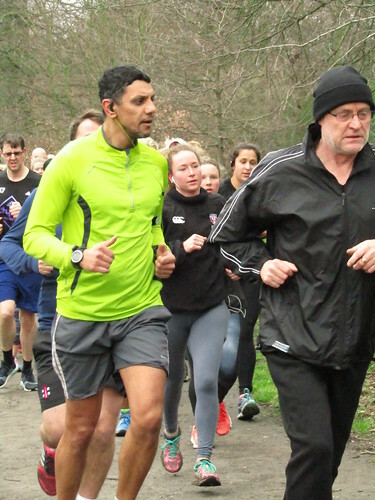 There were about 20 of us on the trip, including Paul Sinton-Hewitt, the founder of parkrun. The holiday was superbly organised. 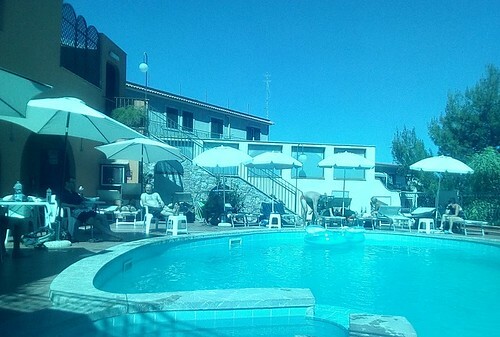 We flew into and out of Catania airport and had guided tours most of the time, seeing local architecture and churches. We were also given ample free time to explore on our own if we wanted. 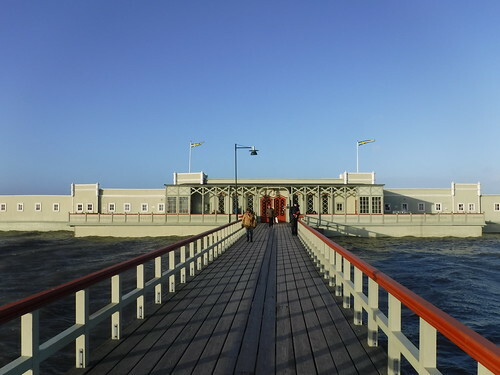 Our tour guides were very informative, the accommodation was excellent and although temperatures ranged between 26c and 30c we went around the island in a comfortable air-conditioned coach. The trip itself was amazing. As part of it we visited Catania, Syracuse, Cefalù, Ragusa and Palermo, saw the Valley of the Temples at Agrigento (a UNESCO World Heritage site), had a walk around Scopello nature reserve and hiked over half way up Mt. Etna, the highest active volcano in Europe. 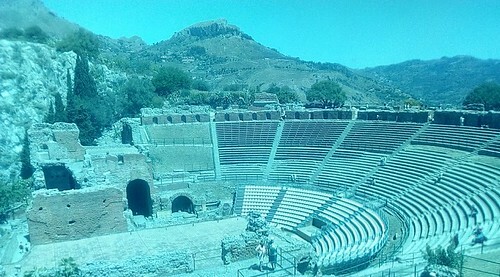 And at the very end we had the chance to explore the town of Taormina, with its wonderful outdoor amphitheatre and Mt. Etna providing the perfect backdrop for our final day in Sicily. Etna was the parkrun we visited on the first morning of the holiday. 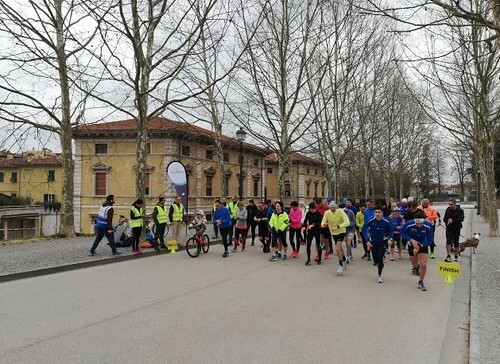 It is one of the newer Italian parkruns, having only started in December last year. It is held in a forested area called Red Mountain in the Mt. 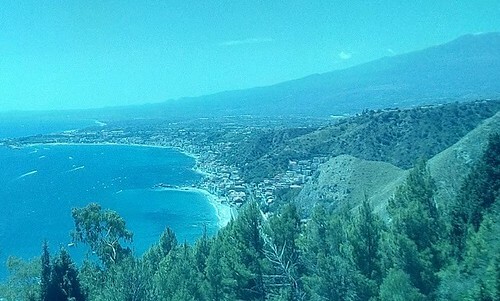 Etna region. 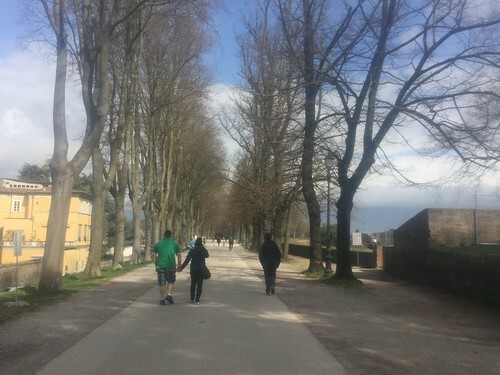 If visiting, you should be prepared for an uphill walk of about 2k to the start. 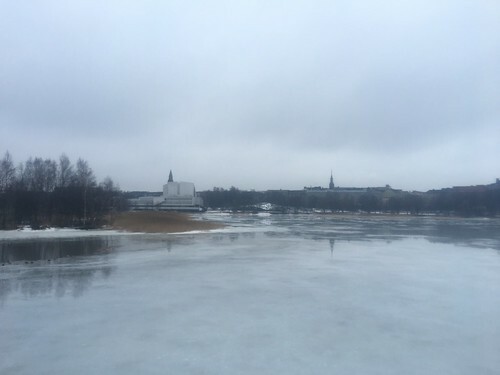 Also be prepared for warm temperatures; it was a surprising 26c at 9am when we ran it. After an introductory speech from Paul, we were off! 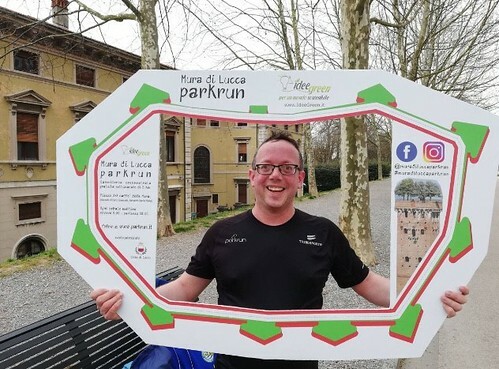 As might be expected given where it is located, Etna parkrun is an undulating 2 lap course. The terrain underfoot is difficult (featuring tree roots, gravel and uneven surfaces), so wearing trail shoes is a very good idea here. The visit of our touring party meant a new course attendance record of 61, increasing the weekly average by 33 percent! 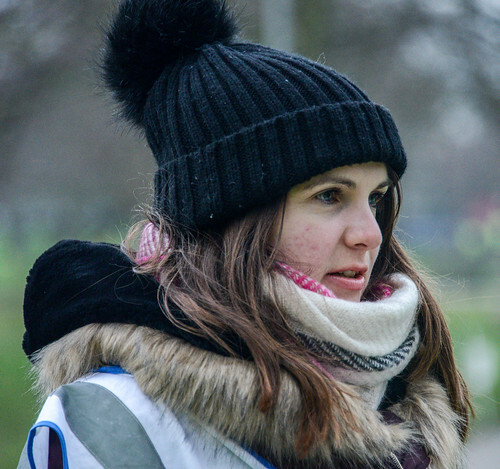 At 12 they had a record number of volunteers too – much fewer than we are used to at Tooting, though! First to finish out of our touring group was Chris Tilley, a Bristol based runner, who with 21:01 finished 12 seconds ahead of Franklyn Young and 1 minute ahead of Paul. They were all well behind local runner Alfio Scalisi though, who was first to finish in an impressive 18:12. Another local runner, Carmela Motta, led the way for the women with 24:11. There was much socialising over cold drinks and pastries after the event. 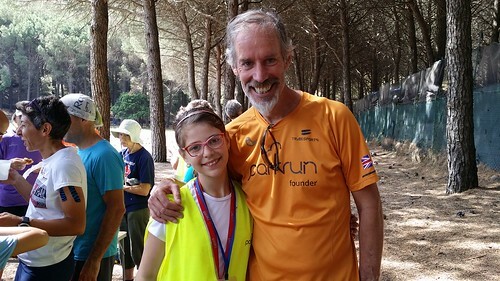 At the time of writing there are 12 Italian parkruns, and 5 of them are in Sicily. 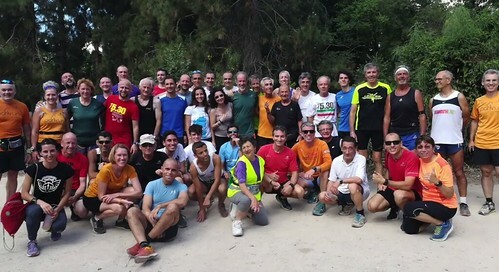 For our second parkrun of the trip we went to another one of them - Favorita in Palermo, the Sicilian capital. After Catania, Palermo is the most likely place where you might encounter the local Mafia. We were OK, though! 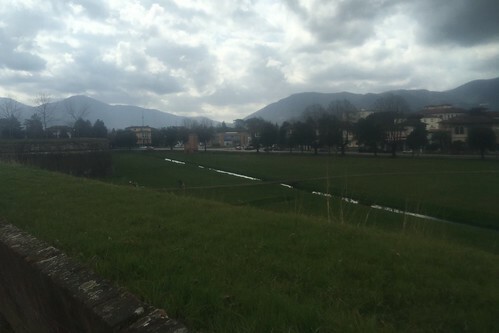 We arrived at Favorita by coach as we had to head off to the final stops on our tour directly afterwards. 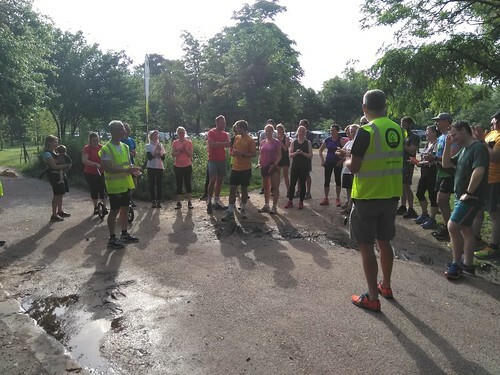 Paul again was introduced as the founder of parkrun before 78 of us (another new course attendance record) set off on a flat, 3 lap course through shrubland. There were also some wooded tree lined tracks, which with temperatures of 23/24c provided much welcome shade. Road shoes were fine for this course. 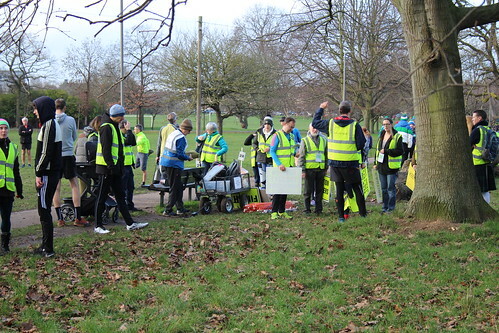 While again the number of volunteers is not as big as at Tooting the course is well signposted, with directional arrows all around. However, this still did not stop me from going a few metres off course on one occasion! In terms of results, Chris, Franklyn and Paul again finished first, second, and third out of our touring group with 19.25, 19:41 and 20:12 respectively. However, they were all behind local runner Calogero Di Gioia, who finished in 19:15. Local runners led the way for the women too, with Francesca and Barbara Vassallo finishing just behind Paul in 20:14. Unfortunately, 2 ladies in the group had falls this time round – one getting a cut over the eye which needed some local medical attention – but both recovered to finish. 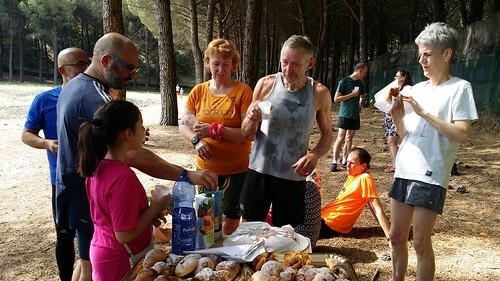 As at Etna, cakes and drinks were available at the end of the run. You can also take a post-parkrun shower at the local stadium for 2 euros. In summary, our holiday was truly spectacular, with friendly staff and an expert driver. I look forward to seeing what Exodus Travels will organise next! 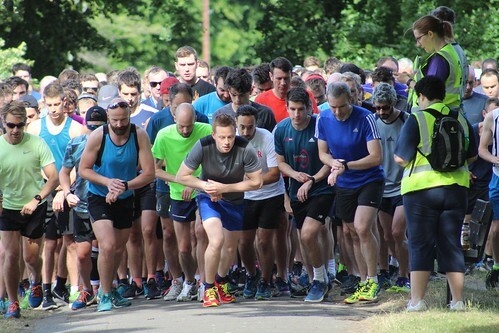 This week 619 people ran, jogged and walked the course, of whom 78 were first timers and 40 were running their first ever parkrun. 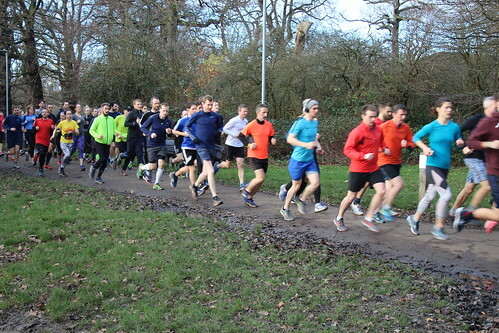 117 recorded new Personal Bests, and representatives of 32 different clubs took part. 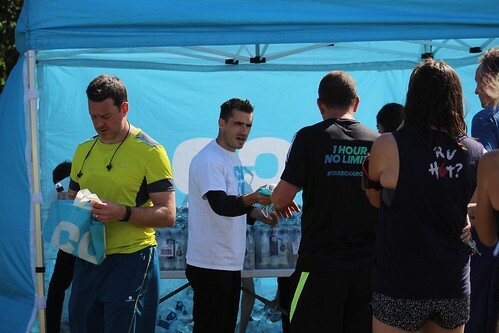 Many thanks also to Andy Moore and his team from official parkrun partners Co-op, who were along to promote the opening of their new store in Balham and kindly provided runners with bottles of water at the finish line. 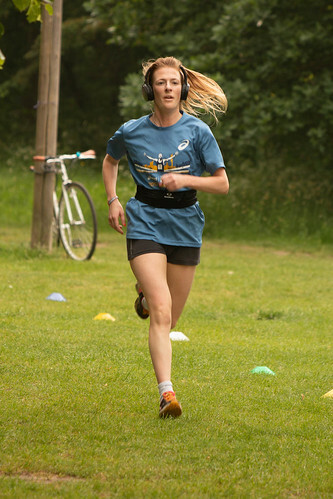 An unknown runner was first over the line. 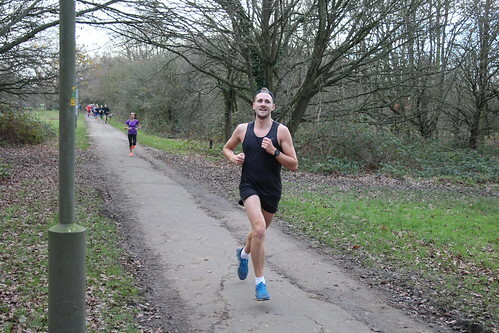 Ben MILLAR (VM40-44) of Clapham Chasers RC was second over the line in a new PB of 17:27 – an improvement of 26 seconds on his previous best. Felicity HANNON (SW25-29) of Clapham Chasers RC was first over the line in 19:14. Hannah LORD (SW25-29) was second over the line in 19:17. Iona MUMBY (SW30-34) was third over the line in a new PB of 20:11 – an improvement of 34 seconds on her previous best. 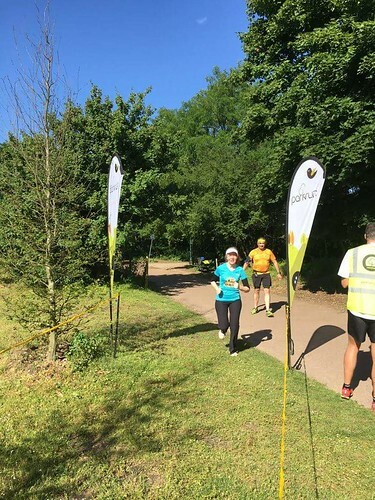 Shout outs are due to Gareth BRIGGS, Adrian GRIST, Brenda HEIMANN, Simon HOGG, Anne SHEPPERD and Jay SIMMONDS, who all completed their 50th parkruns today and can now claim the red parkrun milestone t-shirt. 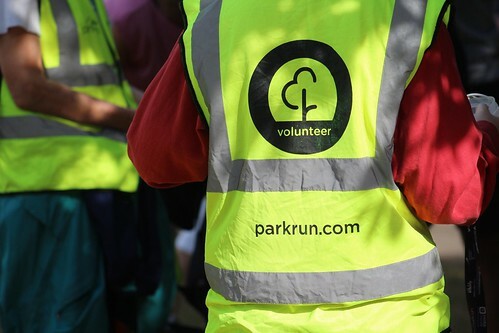 Many thanks also to regular marshal Stuart HAMILTON, who volunteered with us for the 25th time and is now eligible for the purple parkrun volunteer shirt. - Miranda GALLACHER, Thomas LACEY, Mason SQUIRES and Sid STEEDMAN were our star junior runners of the week, with new PBs of 23:20, 28:52, 25:18 and 28:24 respectively. 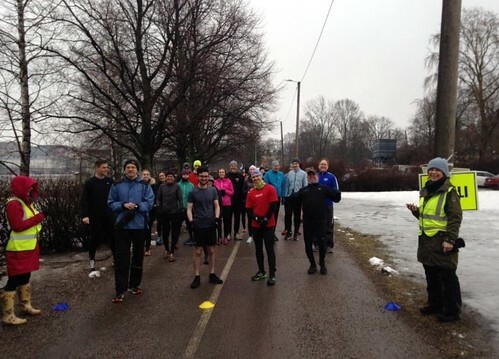 - Ryan WILLMOTT returned to run with us for the first time in a year. 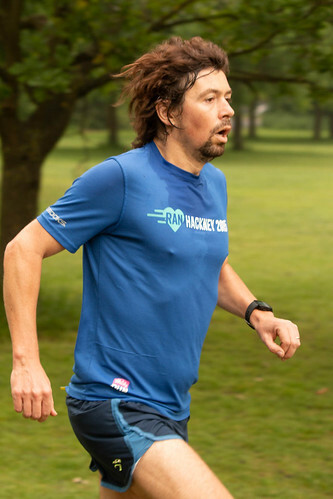 He has obviously been getting in some running practice inbetween as he improved on last year's time by an amazing 7 minutes and 53 seconds to get 18:39. 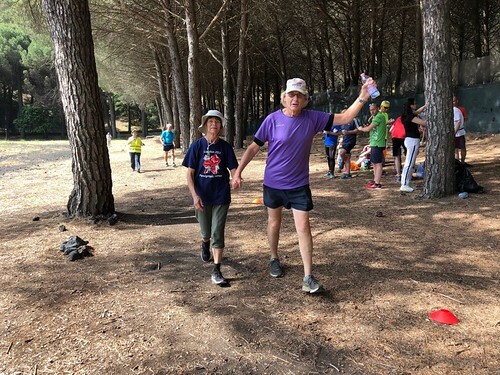 - Tanya BASSI and Andy DE SANTIS managed volunteering & PB doubles, packing up the start/finish kit afterwards and finishing in 23:18 and 23:12 respectively. - Cathryn NASSE continued her excellent recent form with her second course PB this month, this time crossing the line in 30:54. 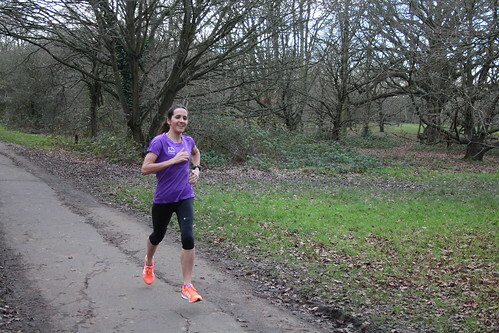 - Finally, Katherine ALLIN returned to run at Tooting Common for the first time since October 2016 and improved the time she recorded then by 2 minutes and 52 seconds to get 28:50. Welcome back, Katherine! 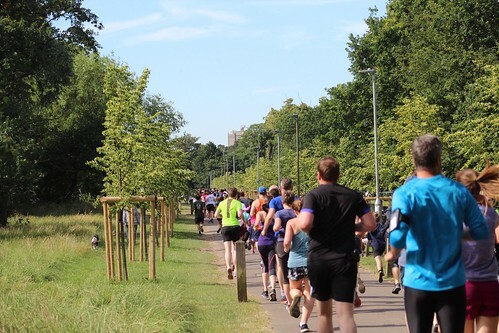 If parkruns had twin events then surely these would be the events which started on the same day? 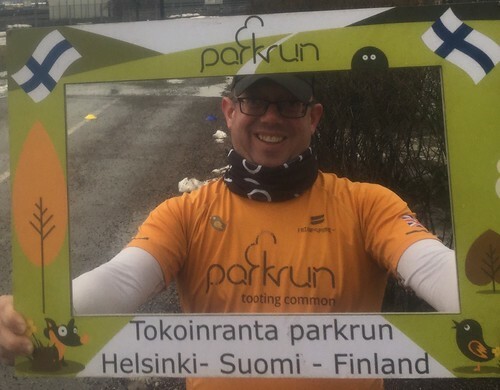 In which case Tooting Common parkrun has 4 twin events - Mount Edgcumbe parkrun in Torpoint, Cornwall; The Terrace parkrun in New South Wales, Australia; parkrun Volgograd Panorama in Volgograd Oblast, Russia; and parkrun du Bois de Boulogne in Paris, France, which this report will focus on. 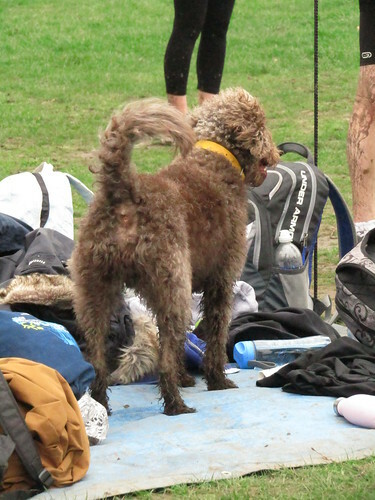 When I found out the date Tooting Common parkrun was going to start I was initially a little disappointed I would not be able to make it. 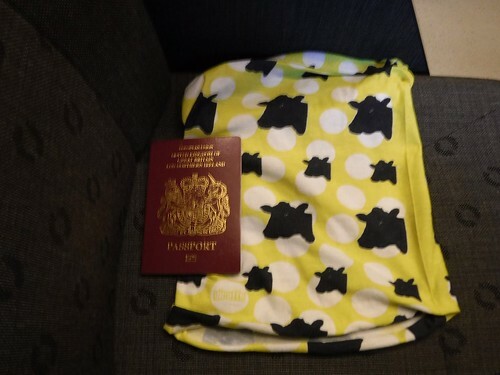 It would be my new home parkrun, but I'd already booked the Eurostar to Paris for that weekend (my wife is French and we regularly go to back to visit her family in Paris). 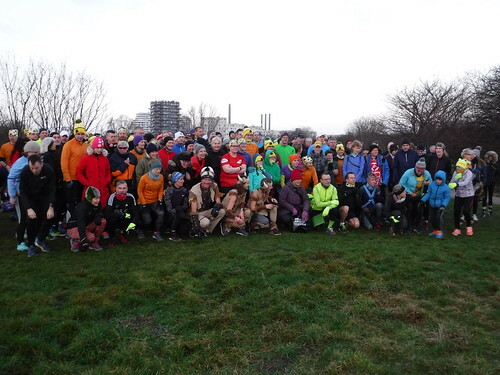 That soon changed when I found out Paris were to get their first parkrun at Bois de Boulogne and the inaugural was when I was going to be there and the same date as Tooting Common - 30th January 2016. Fast forward 2 years and a few months and I am back at parkrun du Bois de Boulogne for the 11th time and 9th run. 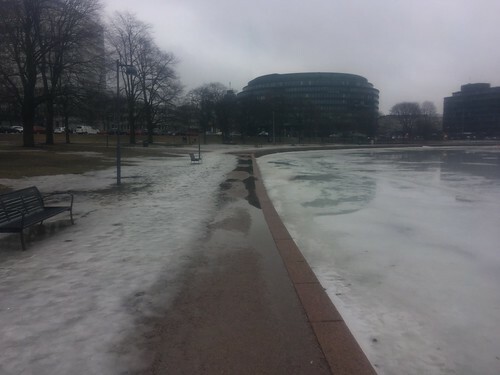 It is a little tricky to find via public transport. 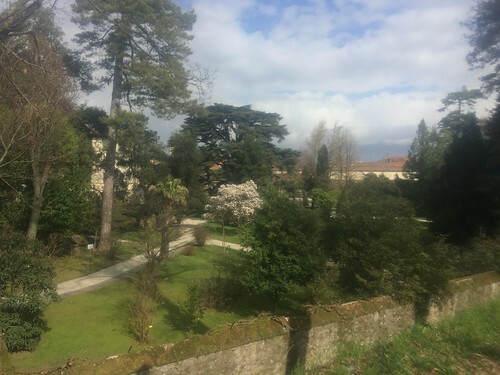 The nearest metro stop is Porte d'Auteuil on Metro line 10, then about a 10 minute walk. If driving then there is plenty of free parking available. The usual course is a heart shape, with the left/west loop on trail paths which is done once clockwise and the right/east loop on tarmac paths done twice anti-clockwise. However with Roland-Garros starting this week we ran route B, which is 3 and a bit laps of the right/east loop of the heart. 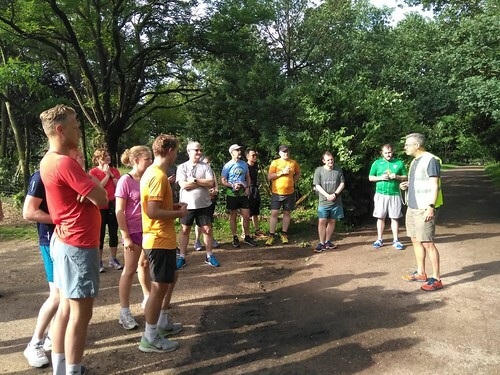 The usual run director Nicolas VAISSIERE was not around this week so it was Douglas SUTHERLAND who delivered the pre-run briefing to the 33 runners, which was in English since the majority were tourists from the UK, Ireland, Australia and South Africa. It was a sweltering 21 degrees at 9am when we heard "à vos marques, prêts, partez!" and we all set off. 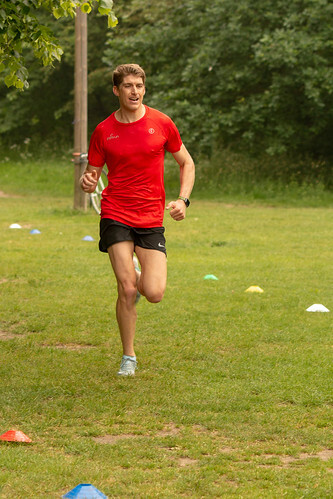 First over the line was Jacob MILES in 18:22, followed by Jean GAVINI who was running his 50th parkrun (all in Paris - 47 at Bois de Boulogne and 3 at Montsouris) with 20:13. 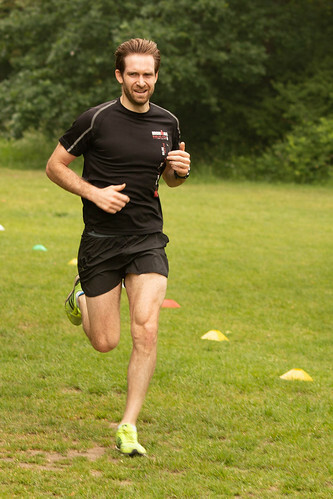 Alexander FRANKE was third to finish in his first ever parkrun in 20:34. 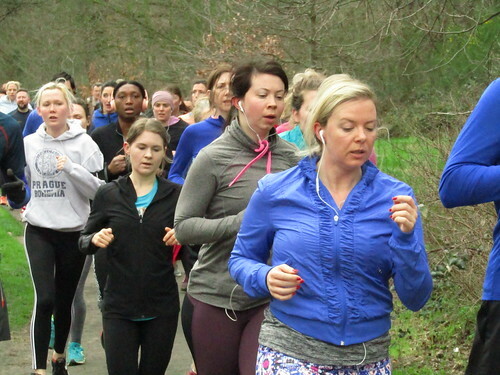 First female finisher was Hannah NESBITT in 22:13, Emily BEVAN was second across the line in 24:19, and third female again in her first ever parkrun was Laure NICOLAS in 24:57. 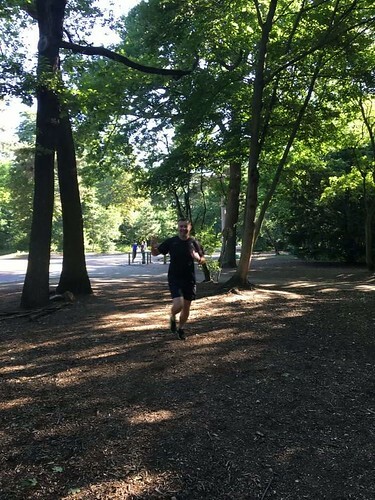 2 others were running their first ever parkrun and for another 9 it was their first visit to Bois de Boulogne. 2 people managed new PBs - Alejandra JOURDAN with 28:35 and Bois de Boulonge regular Veronique PILAT in 28:41. We all enjoyed some treats afterwards thanks to my wife Scarlett WATTS bringing them as it was her birthday! 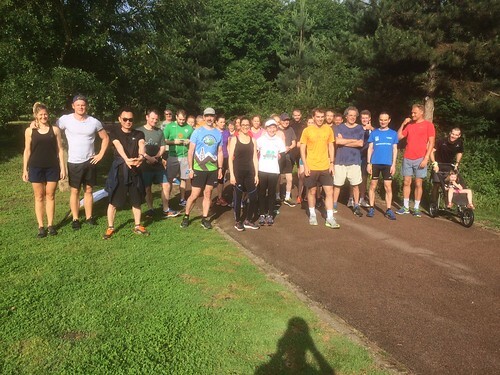 parkrun du Bois de Boulogne is a very different experience to Tooting Common as they normally average about 30 runners and around 6 volunteers, whereas Tooting often has about 500 runners and 30 volunteers. 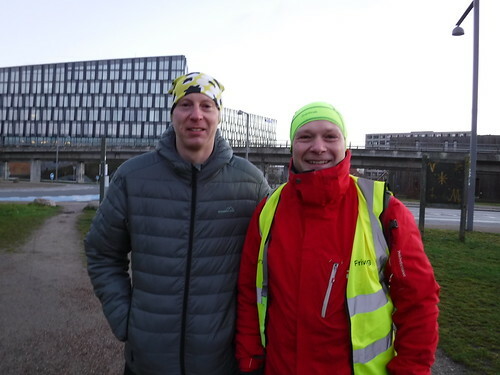 Their record attendance was 190 which was the day before the Paris marathon in April this year. Tooting has only once had less than that, and that was New Years Day 2017 with only 107. However, the smaller size makes it very social, making you able to chat with almost everyone there. It's always interesting to speak with people from all over the world, as well as the regular Parisians. 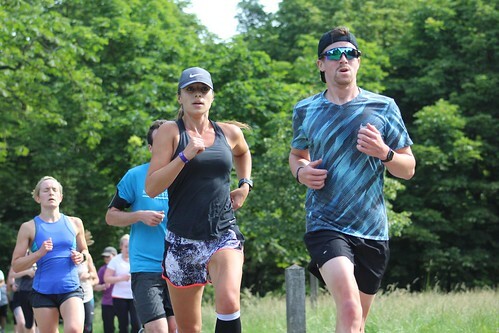 If you are ever in Paris on a Saturday then make sure you visit one of the parkruns. The other one at Montsouris is 3 anti-clockwise laps of the park, and slightly easier to find with an RER stop inside the park. Finally, don't panic if you don't get your result the same day, or indeed the next day - mine came through on Monday evening! 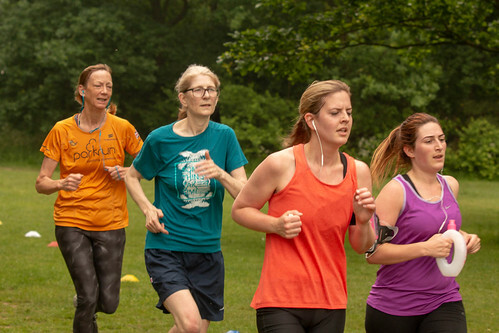 At Tooting Common parkrun this week 473 people ran, jogged and walked the course, of whom 62 were first timers and 35 were running their first ever parkrun. 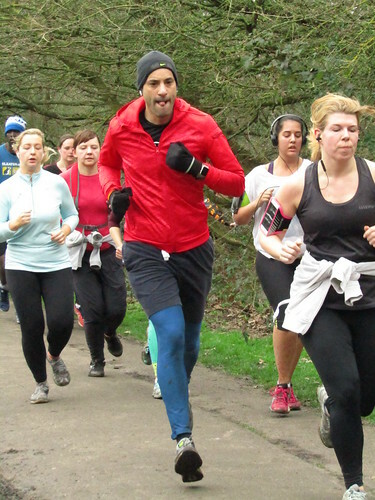 103 recorded new Personal Bests, and representatives of 25 different clubs took part. 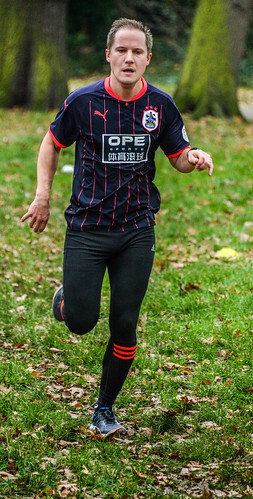 Luke PIKETT (VM35-39) of Clapham Chasers was first over the line in 16:50 – the sixth time he has done so. Dermot BRYERS (VM35-39) of Victoria Park Harriers and Tower Hamlets AC was second over the line in 16:56. Nick BESTER (SM25-29) of Herne Hill Harriers was third over the line in 17:01. 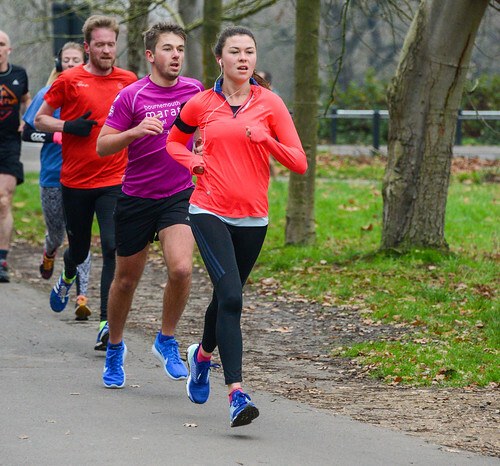 Katherine BROOK (SW25-29) was first over the line in 20:49 in her first ever parkrun. Iona MUMBY (SW30-34) was second over the line in 21:02. Sally GREENWOOD (SW20-24) was third over the line in 21:06. 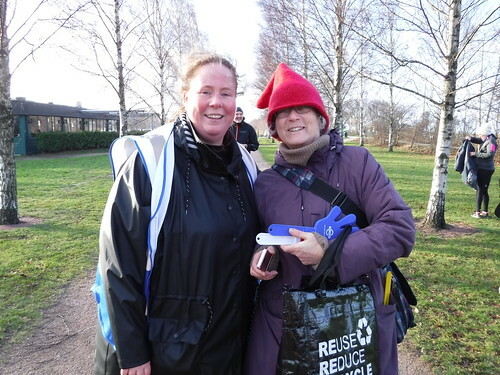 Katie MCPHILLIMY completed her 50th parkrun today and is now eligible to claim the red parkrun milestone t-shirt. 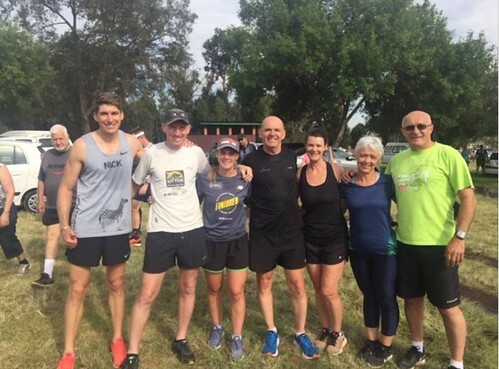 - Jamie GOLIGHER and Oliver GODDIN both smashed the sub-20 barrier for the first time at parkrun, recording 19:45 and 19:55 respectively. 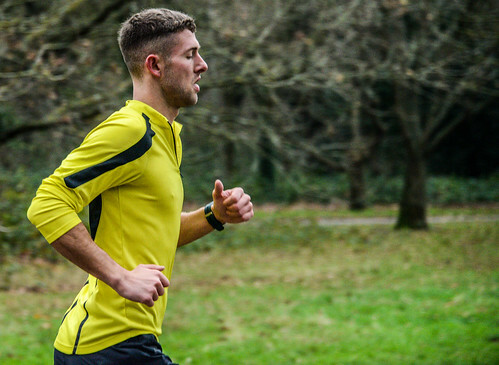 - Michael MCGETTIGAN recorded his first PB since December and went sub-24 for the first time at Tooting Common in the process, crossing the line in 23:58. 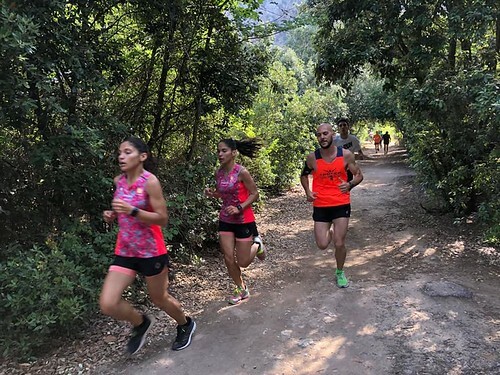 - Kristin BAINBRIDGE also recorded her first PB since December today, finishing in 24:21 which is an improvement of 25 seconds on last year’s effort. 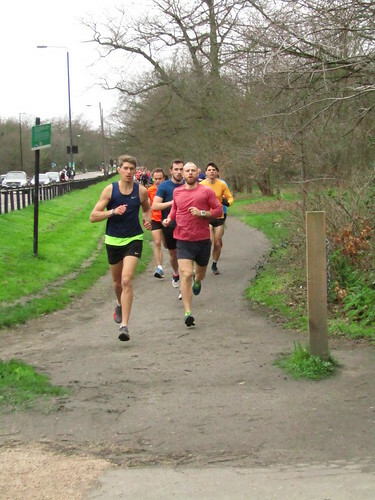 - Anna HART continued her fine recent form with her third successive PB in her four visits to Tooting Common. 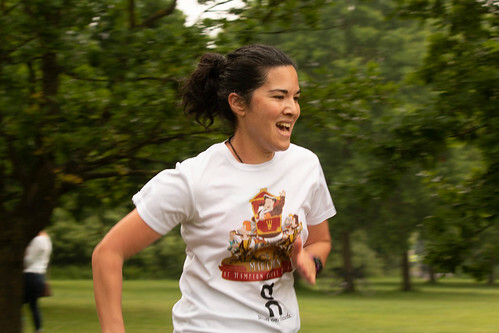 Today she knocked an impressive minute and 14 seconds off her time earlier this month to finish in 28:33. 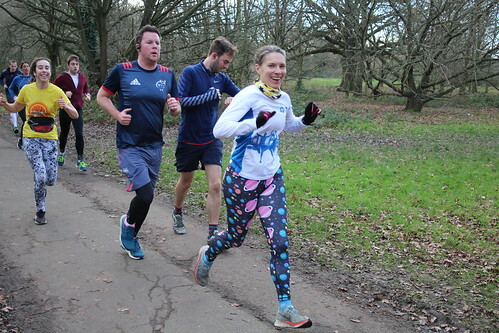 - Emma WADHAM returned for her second Tooting Common parkrun this week and knocked an excellent 2 minutes and 3 seconds off last week’s time to finish in 48:23. 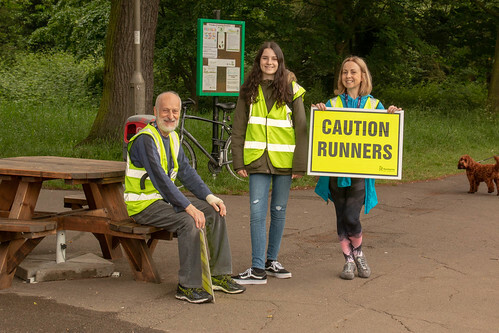 If you’d like to join the Tooting Common team one week and ensure that this great event continues to take place, please e-mail tootingcommonhelpers@parkrun.com.